It involves answering some questions but the catch is to put your music player on shuffle and the answers are the selections made by the music player. I enjoyed it and I decided to try it out too. 2. What would you best describe your personality? 3. What do you like in a guy? 5. What’s your life purpose? 20. Worst thing that could happen? 23. Go back in time, what would you change? 24. Why will you get married? 25. What will you name this post? That’s the end. You can try it out. Wondering what CBD is? Don’t look too far or go googling it, you’ll find out soon. Just stay with me. A few days ago I needed to do some house shopping, please take note house shopping. Somehow I stopped over at a shop to look around. The shop didn’t have fresh tomatoes or “oha”. It had shoes and not just some random shoes or the one a friend refers to as the type used in jumping “molue” buses. I’m talking of drop-dead, gorgeous, beautifullllllllllll shoes. The guy was glad to see me , and he set out to bring out the kind of shoes I liked and I tried them on. I wish I took a picture of the shoes on my feet *deep breath*. I picked three and after much debate on the price we came to a conclusion. Funny thing was, I didn’t have the physical cash on me, but just like how objects are drawn to a point by the “Bermuda Triangle” , I could literally see an ATM machine drawing me close and guess what……………………………………………. You’ll find out later *tongue out*. 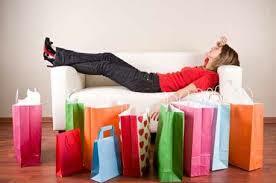 Now to the question, CBD simply means Compulsive Buying Disorder. It involves and not limited to people who spend beyond their means, it also includes people who spend an inordinate amount of time shopping or who chronically think about buying things but never purchase them. A quick survey will reveal the female gender is more affected by this plague. Hey guys, don’t think you’re exempted. How many of us in all honesty have gone shopping and after picking out those lovely items, got home and felt miserable for buying it. Or a look into your wardrobe, you find clothes and shoes with their tags staging their own “occupy wardrobe” for more than six months. There are reasons we are plagued with this disorder. Look through and know where you fall. – You buy because you need it. – You buy because you want it. – You buy it because it’s cool (Rave of the moment). – You buy as a substitute for depression. – You buy because you saw it in a fashion magazine or on a celebrity. A lady said she loves to shop because it’s a form of therapy when she’s depressed. You know, it isn’t really about now rather the effect down the road. If you can’t say no now to those voices screaming in your head buy, buy and buy (in fact your name has become “BUY“), you won’t be able to say no to your child when you go shopping together and the child wants to pick everything in the kiddies section because truth be told you can’t give out what you are not. Granted we all want to look good, and like the saying goes “looking good is serious business”. 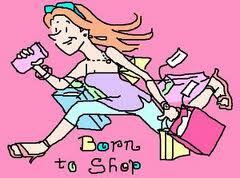 We want the clothes, shoes, human hair, jewellery and lots more. I like them too but we can never have enough of them, so why have sleepless nights over the one you just saw displayed. My dear by the next morning, a new and perhaps better one is displayed. Luke 12 vs 15 “ And He said to them, guard yourself and keep from all covetousness (the immoderate desire wealth, the greedy longing to have more) for a man’s life does not consist in and is not derived from possessing overflowing abundance or that which is over and above his needs” AMP. A whole lot comes with compulsive buying. In most cases you run into debt and a lack of self-control too. Living on debts is a no no. Why eat up your future for temporal satisfaction? Now to the question, if I succumbed to the pressure to buy? I resisted it but trust me it wasn’t an easy decision. I kept on going back and forth with how amazing the shoes will look on me and if you know me well, the taste for good looking shoes runs in the family (thanks to my mum). You’ll be wondering how I refrained from buying those shoes. I remember going out with my mum and faced with a similar situation with lovely clothes and shoes displayed and in a quest to pick many she’ll always say “iheoma anaghi agwu-agwu” meaning good things never finish. Somehow that has been my guide. Am I saying I’ve said NO all the time? Definitely NO but I’m glad I’m not where I used to be. Above all look to the Holy Spirit to help you with Self – Control . He doesn’t deny us when we come to Him in sincerity. I’m certain you are on your way to self-improvement. See you at the shop top. Author JMADPosted on March 23, 2013 March 23, 2013 Categories UncategorizedTags Bermuda Triangle, CBD, Clothes, Debt, Human Hair, Jewellery, Shoes7 Comments on Do you have CBD????? It was a typical day. Got off to work. Needed some money and had to stop by the bank to use the ATM, inserted my card and punched in all the required digits waiting to hear the sound of the notes rolling out, only to be greeted with “Sorry machine unable to dispense cash“. * red face with two horns” . You know that feeling when you just used the last money in your wallet to get to the ATM *smh . Anyway fortunately for me it was my bank so I had to go to the banking hall. DEAR LORD!!! you can’t imagine the queue. Since I had no choice, I joined the queue. Needed to get busy with something to divert my attention from the anger welling up on my inside. So I started tweeting and got lost in it. Suddenly there was a change in the atmosphere. I could feel his presence around me and it was so intense. I had to look up from my phone to spot him and he was nowhere in sight but I could swear he just entered the banking hall. Then it hit me, Reaction by Kenneth Cole. Someone was wearing the cologne and I thought he was the person. The woman with the Alabaster box broke it at Jesus’ feet and the whole atmosphere changed, even when she was gone the fragrance lingered on. Acts 4 vs 13 “Now when they saw the boldness and unfettered eloquence of Peter & John and perceived that they were unlearned and untrained in the school, they marveled; and they recognised they had been with Jesus” AMP . 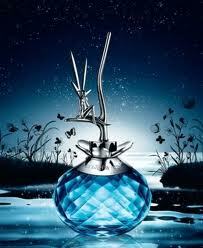 Now I ask what fragrance do you exude. When your name pops up in someone’s head, what comes to their mind? When someone meets you, can they tell you’ve ever been with Jesus without you mentioning the bible or church? Do you exude a sweet smelling fragrance or a pungent smell like ammonia? One thing we fail to realise, our fragrance stays back when we are gone. The other day I passed by a refuse dump and the smell was out of this world, although I had left the area I could still perceive it. I won’t go through the pains of bringing up our “supposed” hidden character (because the list won’t get exhausted). I’ll let you do the soul searching. No one knows you better than you. Take a seat and have a “me-time”, just you and yourself alone and talk. Be honest too. Get a pen and paper, analyse yourself and score yourself. Isn’t it just awesome to set the exam by yourself, write it and still mark it . NICE !!! We are the SALT of the earth, if we lose our taste what will become of the world? We bring light to a dark place, we change the atmosphere with our presence. Question is, what’s the impact of that change? Is it in a positive or negative direction? Are there areas in your life, you know deep down emits a foul smell, then start working on it. On the contrary people long to have your sweet smelling fragrance all over them, keep at it while you inspire people to be like you.